Prezentare With clever photographic designs, simple labels, and stimulating questions, these are the perfect first board books for parents and toddlers to share. 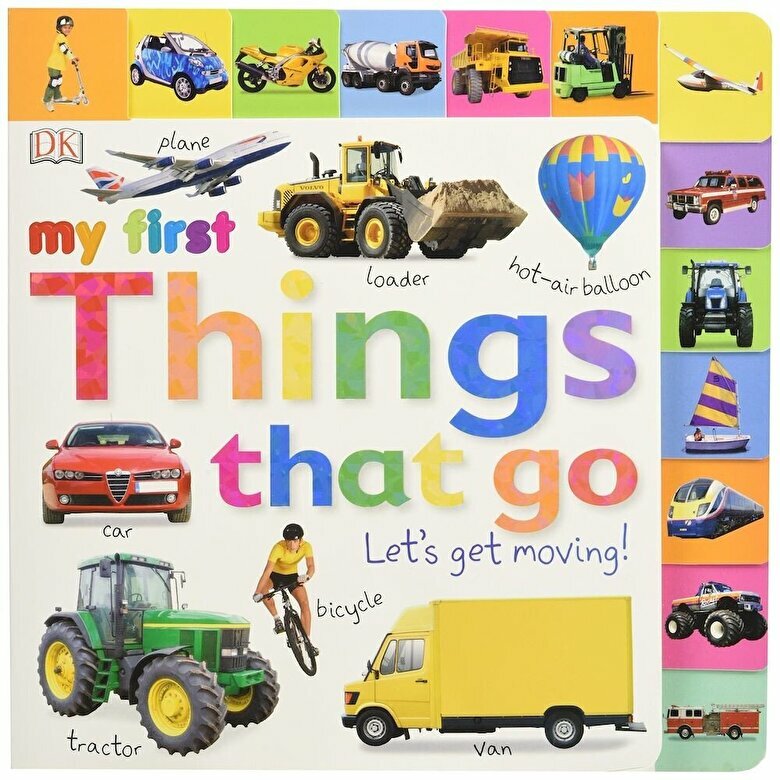 My First Things That Go: Let's Get Moving helps children develop first language skills. Each tabbed section focuses on a different category of vehicle, from cars to airplanes.